Aside from youths being on social media, some Nigerian parents are beginning to join their children in catching fun on Instagram, Facebook and Twitter. Such was the case of this young lady @queensplu on Instagram. 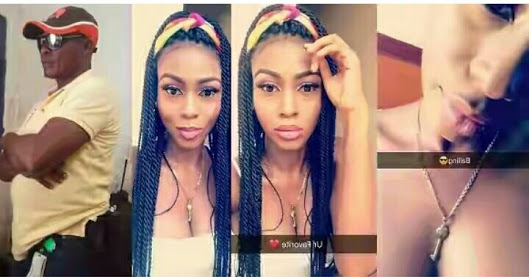 Identified as Joyce by her father, she shared a sultry picture of her revealing her ‘chest’ and in no time, her father came to drop a comment. Joyce who shared the picture with part of her face showing captioned it: “Balling. Hide your face.” She must have been surprised when her father took her Instagram to drop a comment.